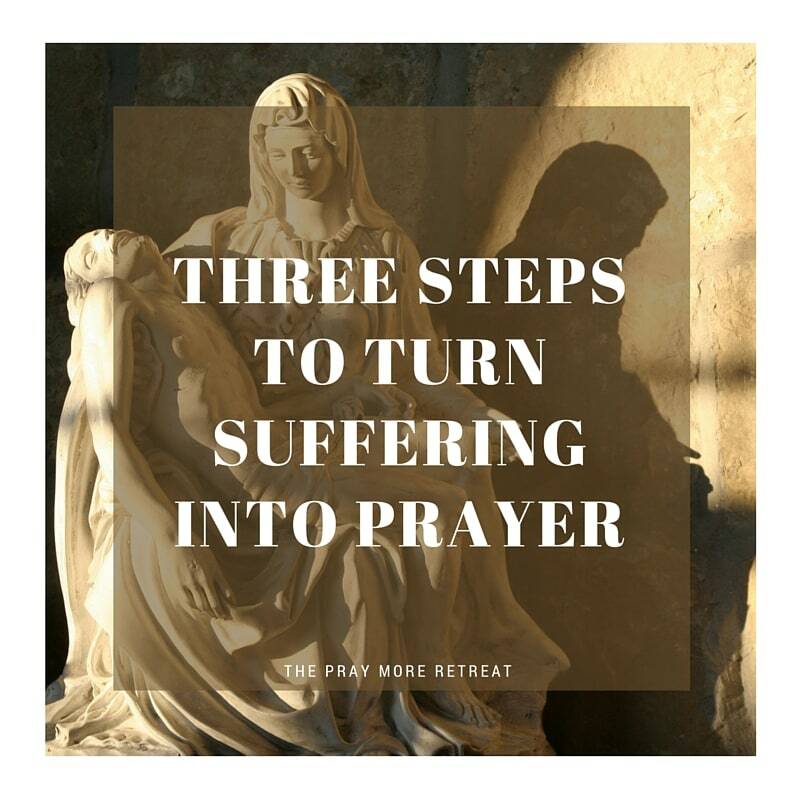 Click here for the printable study guide for Three Steps to Turn Suffering Into Prayer. Remember the words of the Morning Offering throughout your day, and give to God those moments of strength and weakness, those moments of joys and sufferings, so that He can use them. Many saints asked that God would use their suffering for a particular reason; St. Bernadette asked that God would use her suffering for the conversion of sinners, for example. Maybe it might help to choose a particular cause you would like to pray for, and ask God to use what you give to Him that day, for your cause. Katie (Peterson) Warner of CatholicKatie.com is a wife, stay-at-home mom, author and speaker who helps family men and women learn the practical strategies and resources they need to take small steps toward becoming leaders at living more spiritual and meaningful lives, together with their families. Katie is the author of Head & Heart: Becoming Spiritual Leaders for Your Family (Emmaus Road Publishing), a correspondent for the National Catholic Register, and a contributing writer for the IntegratedCatholicLife.org. She has presented in venues like the National Catholic Bible Conference, the Catholic Family Conference, numerous Legatus chapters, the Eucharistic Congress of Atlanta, the Augustine Institute’s acclaimed Symbolon and Opening the Word programs, and on EWTN radio and EWTN television. 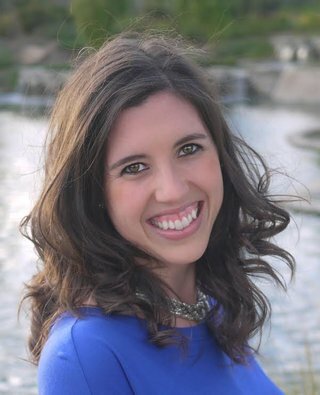 Katie is the part-time Manager of Communication and Evangelization for Catholics Come Home. Katie and her husband, Raymond, have two children, and her favorite ministry work is family life. You connect with Katie on Facebook, Twitter, and through her website at CatholicKatie.com. His cross for the building up of the body of Christ. First, begin the day with The Morning Offering. form it comes in throughout the day. on offering all that you go through that day to God so He can use it for good. shorter informal prayers as you encounter those hiccups. of this flu for the strengthening of my marriage”. Third, follow St. Therese of Lisieux’s practice of using sacrifice beads. you are experiencing are one-by-one being handed over to our Lord. one of the greatest forms of prayer that you have to offer to God.